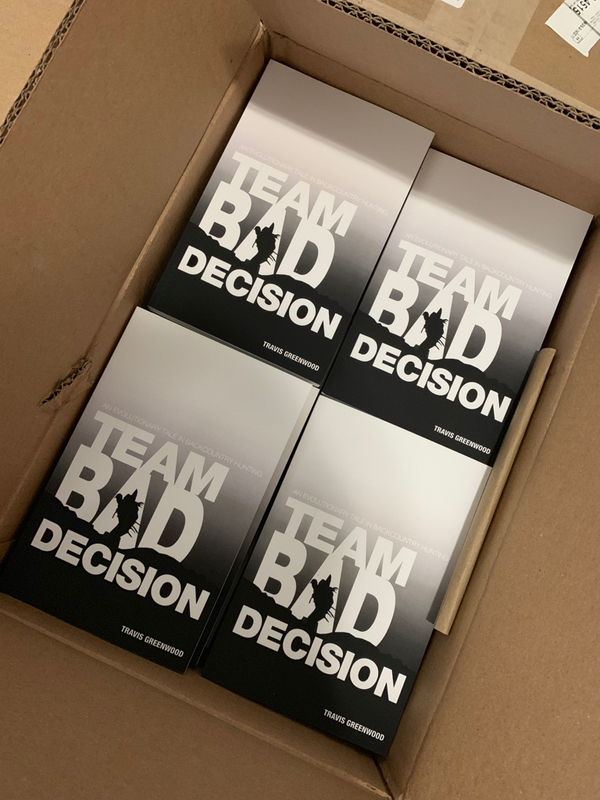 Team Bad Decision: RELEASE DAY! 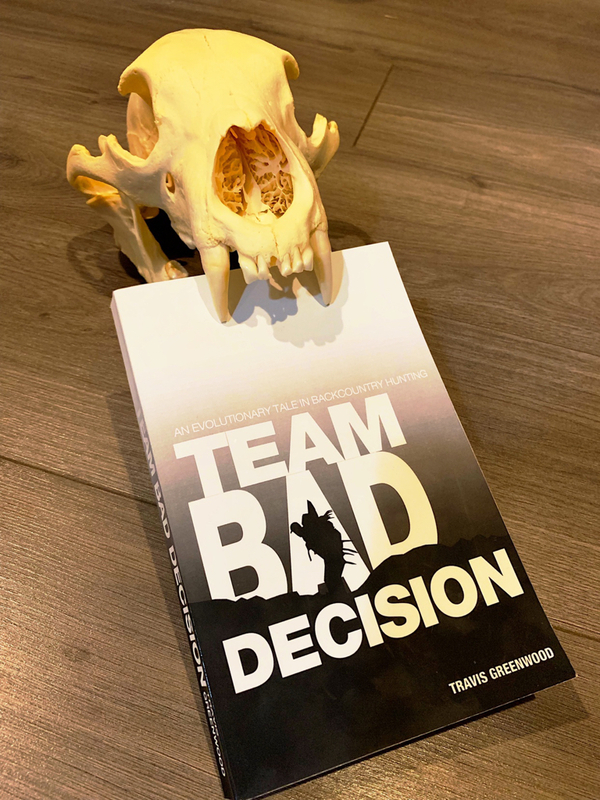 It is with great pride that I announce Team Bad Decision: An Evolutionary Tale In Backcountry Hunting is now available across all platforms! Thank you for all the support the Hunt-WA community has given this project! Team Bad Decision follows the tale of Travis Greenwood and Scott Daniels as they dive headfirst into learning how to hunt the western backcountry. Their journey flows from the Cascade Mountains of Washington State to the Rockies of Colorado in pursuit of bear, deer and elk. The story of their transformation is littered with failure, success, more failure, plenty of whiskey, and a preponderance of type two fun. Team Bad Decision is chock full of hard earned lessons disguised as an adventure tale designed to be enjoyed by the novice and expert hunter alike. Take a step into their world, grab a beer, and enjoy. Re: Team Bad Decision: RELEASE DAY! Congrats on getting done! Should be a great read. I just download it this morning, great read so far. Congrats!!!! Ordering paperback collector edition. I hope you enjoy it! Thanks for the support! I’ll make sure to sign it LT.
Holy cow, what a great weekend. I want to thank everyone who has jumped on board with Team Bad Decision, and helped make it a successful debut! If you haven’t ordered, head on over to www.teambaddecision.com! Just ordered, stoked to read! Those of you patiently waiting for your books will need to wait no longer! Books are in and shipping out tomorrow morning! Scott and I had the pleasure of sitting down this last weekend with Joseph von Benedikt from Backcountry Hunting Podcast. Joseph has been hunting the western backcountry since he was a kid, and has established himself as an outdoor writer in a variety of venues. Joseph had the unique perspective of having read Team Bad Decision before our chat, and he was able to ask some pointed question as we dove into book specifics. If you've been on the fence about the book, dive in and take a listen! Books, bears, elk, deer, success, failure, gear, and hunting techniques are all covered! Yes, great podcast! Thanks guys.